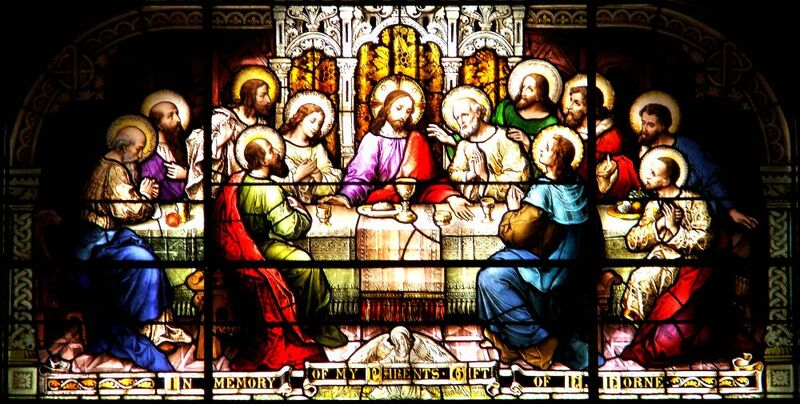 When celebrate the Eucharist we are doing what Jesus asked of his disciples at the Last Supper. In doing this we become aware of the presence of Jesus among us. He replied, “As you enter the city, a man carrying a jar of water will meet you. Follow him to the house that he enters, and say to the owner of the house, ‘The Teacher asks: Whereis the guest room, where I may eat the Passover with my disciples?’ He will show you a large room upstairs, all furnished. Make preparations there.” They left and found things just as Jesus had told them. So they prepared the Passover. When Catholic’s gather to celebrate Eucharist at mass, we are reminded that Jesus is always here, that God is always working in our lives. We meet Christ in 4 ways during Mass. Being aware of this helps us to become more like Jesus and gain a deeper understanding of Eucharist and of the Church as family.